Well, last Sunday I tried my first attempt at The Spartacus Workout which I mentioned in last week’s post. I could only make it through the first 3 exercises! Yep, it’s that tough. But on YouTube I found a timed workout for it that shows each exercise and has a countdown for them and for the rests in between. Looking forward to using the video and trying again soon. However, I discovered I need lighter dumbbells for it. My 20 lb. dumbbells are a bit much for beginners! Monday and Tuesday of this week I had to do a special project at work in our warehouse, setting up a booth for a trade show. The set-up took place in the very back of our building which was a long trek from my desk. Unfortunately, I ended up making that trip about 10 times each day back and forth and was on my feet most of the day. It really wore me out the first day, so bad I didn’t even go to the gym! On Tuesday, I decided to wear a pedometer to measure how I was doing. By the time I was done, I had walked over 5000 steps, about 1.9 miles, and I had burned 382 calories. I used the Veridian Healthcare Multi-Function Pedometer and it’s awesome! Only two buttons and so easy to use. It even stores your last seven days of walking so you can look back at your progress. My only disappointment has been that I can’t figure out how to set the day back to zero in case I want to measure a specific walk later in the day. I was back in the gym on Wednesday and Thursday and spent 35 minutes each day on my favorite machine – The PreCor Elliptical, burning 400 calories each time. On Wednesday morning I decided to step on the scale. To my surprise, I was weighing in at 245! That’s a 15 lb. loss for the year! I knew that couldn’t be 100% accurate and decided not to weigh in again until Saturday. Sure enough, on Saturday I was at 247 which is more like it. 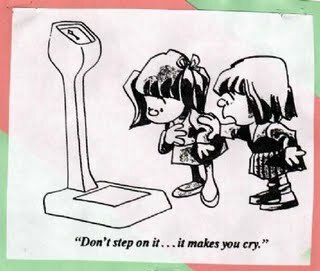 That’s one of the hazards of weighing in more than once a week, which is why I try not to do it. No tears shed though. I still shed 2 lbs! Now I’m looking into protein shakes and protein bars. A coworker recently shared his favorite protein bar with me and I really liked them. They were a bit high in calories, but very high in protein too. He told me about a Whey based protein shake that he uses, and I’m definitely considering giving them a try. I picked up Body Fortress Super Advanced Whey Protein on Saturday because it’s only 140 calories per scoop and 26g of protein. I got the chocolate peanut butter flavor and its pretty good mixed with whole milk. The reviews online speak well of it too, and it offers suggestions for people who are trying to lose weight and people trying to gain mass. On Saturday, J and I discovered a park that’s new to us right down the road from where we live. It runs along the Missouri River on the opposite side of historic downtown St. Charles. The weather was beautiful and almost 60 degrees outside. We walked along the river for about 1.5 miles, over 5000 steps, and burned 330 calories. Yeah, yeah, I totally went over in the Fat category, but I was super excited to see I had carbs left over and went way over in Protein. The Protein Shake with Milk was 42 in Protein alone! I’ve already checked my numbers for today and it’s lower in Fat and Protein for my daily goal. I’m not too worried about going over in protein though since it’s hard enough just to meet the goal most days. How are you doing with your weight loss goals? Have you lost much weight? What are you measuring – calories, carbs, or fat?